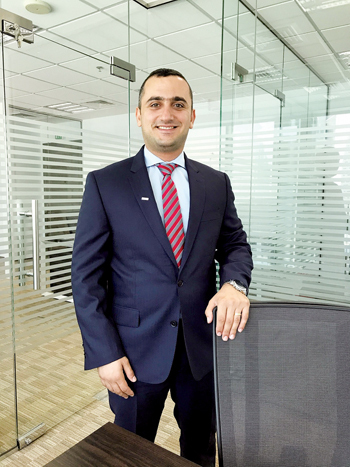 As the company continues to book new orders in 2018, the most recent one being a governmental organisation in Saudi Arabia, it has also expanded its team in the region. The new hires mark Swisslog’s commitment to continuing to add industry leading talent with a focus on innovation and great performance for their clients, said a statement from the company. The company is operating across multiple sectors including e-commerce, retail, food and beverage, it said. “Swisslog develops and delivers best-in-class automation solutions for businesses and offers integrated technology, backed by decades of industry experience. Our recent hires reflect our focus on growth with the aim to help local businesses stay competitive across automated logistics,” he said. “Moreover, our recent participation at Seamless Retail Middle East underscores our dedication to introduce the latest solutions in logistics automation to forward-thinking customers in the Middle East,” he added. Seamless Retail Middle East expo saw a strong participation from Swisslog, where the organisation’s global market leader in retail and e-commerce and a veteran in automation, Roland Martin held a few workshops presenting the global and local case studies as well as explaining the importance of increasing efficiency with data-driven and robotic warehousing. A recent report by management consultancy McKinsey & Company states that the pace of automation has been gradual but is accelerating, and in countries like Saudi Arabia, Bahrain, Kuwait, and the UAE, the projected adoption of automation by 2030 is higher than the projected global average of 32 per cent. “We are seeing a steady increase in demand for our industry 4.0 and robotics solutions designed to address the challenges of tomorrow. 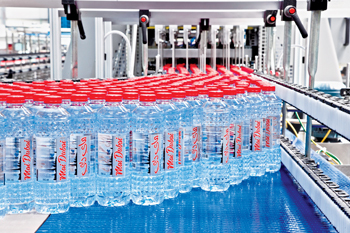 Our recent commitment is our promise to deliver a $21 million fully automated storage solution for the UAE’s bottled-water company Mai Dubai later this year,” added Kaddoum. Process automation in the Middle East and Africa (MEA) market is expected to register a CAGR of 5.15 per cent between 2018 and 2023. The government’s support for Industry 4.0 and digitalisation, the economic transformation as a result of Expo 2020 and other large-scale industry events are all factors that are contributing to the increase in awareness of benefits of automation amongst business owners. In line with Expo 2020, Swisslog expects to continue to see an increase in business growth year-on-year, as billions of dollars are being invested in the infrastructure and logistics services. Businesses in the region that have adopted automation report the benefits of agile automation systems in solving logistical challenges. Almarai is a good example of how automation in logistics brings about efficiency. The Saudi Arabian group is one of the largest vertically integrated dairy companies in the world, with its biggest factory in Al Kharj. Its newly automated warehouse includes storage and retrieval machines, conveyors, refrigerated trucks, automatic picking modules, electric monorail suspension systems and smart software. These solutions delivered by Swisslog ensure processes run more quickly, transit quantities increased, and costs reduced, it stated.